Capt. Gordon C. Couger, son of Mr. and Mrs. R.R. 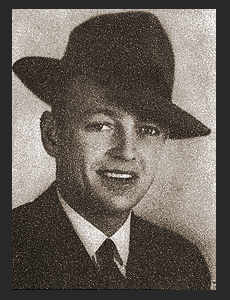 Couger, graduated from Frederick High School, attended Okla A & M; husband of the former Clorene Cain. Entered the Army in Feb, 1941, trained in Camp Barkeley, Texas, Ft. Benning, Ga. Awarded Am. Defense Ribbon.